The model is a reduced copy of a real object. Widely used models in the construction and design of entire complexes and resort towns. Homemade layouts kindergartens can be a great tool for introducing children to modeling and starting a platform for childish games. In addition, the layout can be a wonderful part of the decor of any room. You too can make yourself a simple and beautiful layout, based on their home village or even a town house with yard. Let the basis for the article is the layout of the kindergarten. 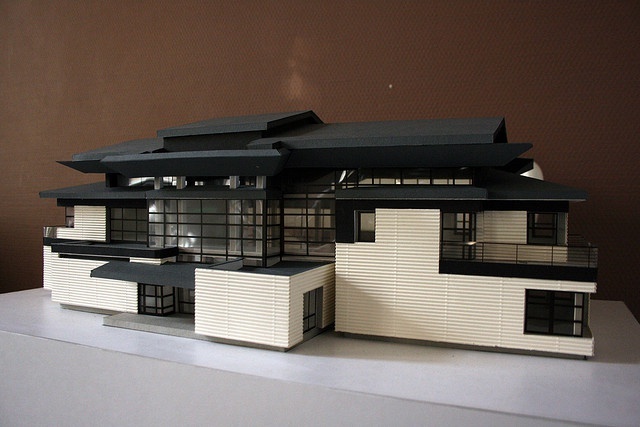 Model of a house with a yard differs only slightly. The entire layout we will have to stand on a big plywood sheet. Made of wooden laths, matches or paper cuts can be done around the edges of the fence. Oil covered the plywood with green paint, letís trace out the General it areas (games, sports and so on). On the layout we will depict the building of the garden, trees, shrubs and other environment. The house can be done from a simple box and glue the paper. A pencil outline of the window, colored wrapping paper or use fabric to make curtains. The role glass will play we have records of mica or Scotch. Doors will be made of cardboard, cut out and glued. Trees can make out of cardboard. Cutting, shaping, glue, where necessary. And the trunk is better to make from paper, as it is easily rolled into a tube and won't wrinkle. Will Paladim on the barrel crown. Remain only to paint the trees in matching colors. Berries and leaves you can paint the medium round brush, using the technique of the stroke. Shrubs are almost trees. Only the template for them already includes the stalk and the crown. The crown is bonded, the lower part of the stalk sticking to the cardboard Cup, making them a few notches. Details of bushes stuck together, then coloring. Nests constructed on the basis of the cone of paper. Cut out the circle, at a distance of 5 mm from the bottom of our cone make cuts. It will be easier to glue the cone to the cardboard mug, performing the role of support. The finished nest is necessary to smear with glue and sprinkle with small pieces of moss or pine needles. Sandboxes can be made from a shallow lid from a cardboard boxes or paper made in origami technique. To make the effect slides of sand, will paste a paper cone in the center of the sandbox, smear it with glue and priciples good sand. The grass can be made from fluffy woolen threads of different colors. These threads are glued directly to the base of the layout or in beds. In some places you can glue a pin to thread flowers (small pieces of candy wrappers). The asphalt coating can easily be simulated by using a fine abrasive paper. This is the perfect option. As an alternative approach to the painting of plywood-the basics black or dark gray oil paint or gluing the appropriate color self adhesive tape. Finally, the elements of the playgrounds (e.g., horizontal bars, ladders, etc.) can be made of tubes for cocktails or a simple paper tubes. By analogy with the above objects in the design area of the kindergarten you can make objects in your yard. Ready layout not only please your kids but will also decorate the children's room, your study or living room. Profession web designer attracts many for its simplicity but this simplicity is apparent. The designer must not only know how to edit the pages, but also to possess the skill of graphic design. In order to understand where to start learning the art of web design, identify your strengths. It will become the main tip, as it will help to focus on what really makes you different from others, saving that it is better to leave to others. Insufficient ability to work in a graphics editor, you need to be fluent in multiple software applications and have basic knowledge in order to be able to quickly learn how to use new tools, if necessary. Remember that your customers need is what you are doing is really for the best professional level. See the amount of knowledge needed, but it is important to determine the sequence of learning the skills of the profession. Start with learning the basics of HTML and CSS. These languages are taught in modern schools. But if you graduated prior to that time, you will have to learn them yourself. Available are a large number of video courses, textbooks and tutorials. Typically, the development of basic programming skills in HTML takes about a month, with daily 2-hour sessions. To learn how to work with colors more difficult. Innate abilities (if any) will be a solid help. However, the layout of pages, taking into account the harmonization of colors is a skill that comes with time. In studying the art of the treatment of color can help you specialized edition dedicated to the colors. You should note that, often, these books teach painting, but not to build the layout of a web page. Therefore, choosing literature, make a choice in favor of the publications most useful for learning web design. It can be books devoted to specific sections of printing or print advertising, for example. In recent times, there are publications focused on web design as a branch of graphic design. In the study of computer editing software image will help numerous and widely available on the Internet video tutorials. In the process of acquisition of basic knowledge do not lose sight of new technology. 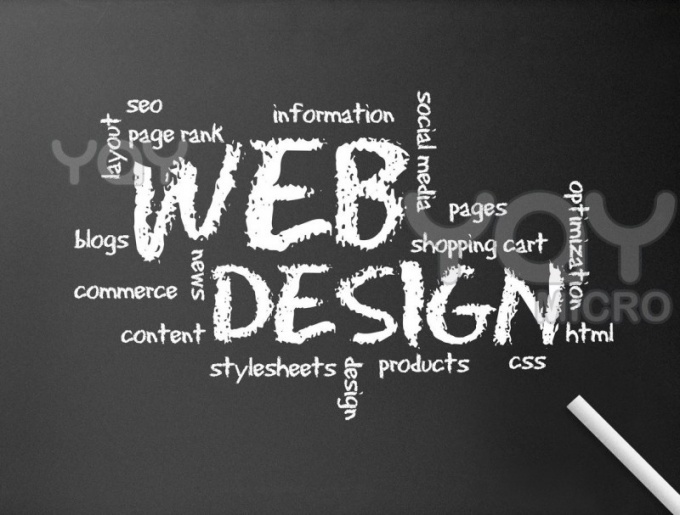 Technology web design and the world wide web, never standing still. Their boundaries are constantly moving forward, so changing the standards, and you need to go with them. Therefore, continuous training is part of the job of a web designer. Thus, you will be able to solve specific problems appearing in the course of work.